Make Money Online Reviews What is Affiliate Cash Empire All About? What is Affiliate Cash Empire All About? Rating: 2.5 It’s not a scam, but it’s overhyped and has upsells. The Good: The program membership is cheap at just under $10. You learn about email marketing and other basic affiliate marketing principles. The Bad: To make the thousands of dollars in affiliate commissions that the program promises, you’ll be spending additional money on upsells. 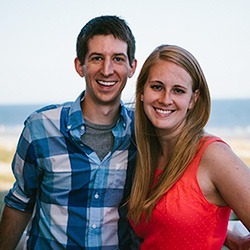 Andrea plays up that she has “secrets” to spill about how you can make $235/day with affiliate marketing, but her training is very basic and deals with theoretical scenarios. There is nothing truly novel or revolutionary to learn here. 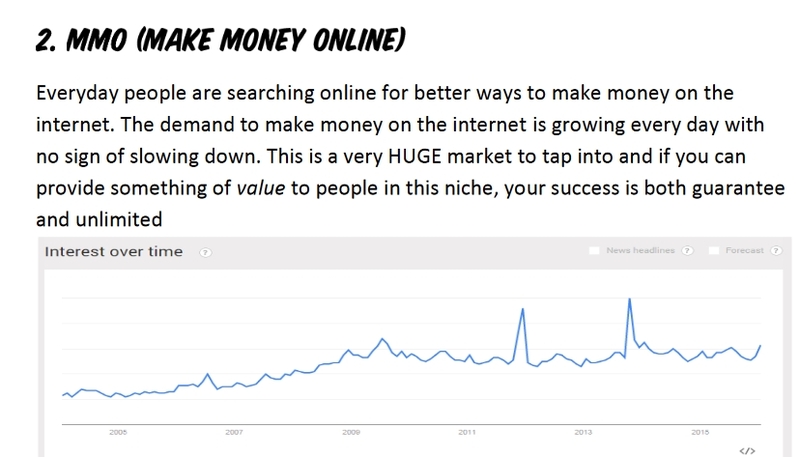 The Bottom Line: This system will teach you the basics of online marketing, but you’ll need to know a lot more to really advance as an affiliate marketer. 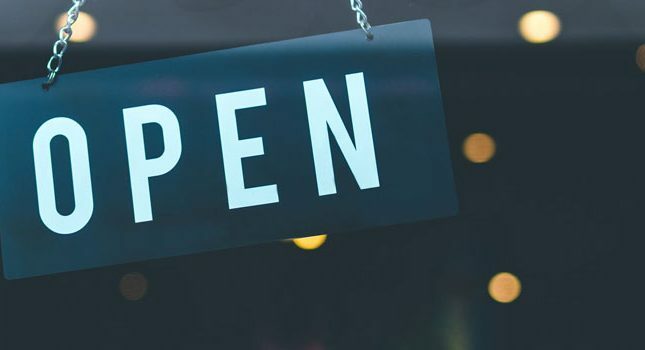 You can learn almost the same info by plugging your search queries into Google (and for free!). Alternately, you can get started for free with my in-depth training program here. Even though her initial commission was just $5, it inspired Andrea to delve further into affiliate marketing. In just a short time, Andrea says that she started earning consistent six-figure yearly incomes from her efforts. For just $9.95, you can access ACE and see what it offers. The product comes with a generous 30-day money-back guarantee, so I decided to buy it and give it a test drive. This upsell was priced at $27. 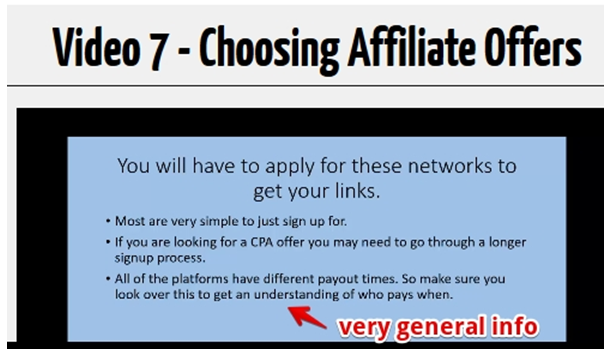 While ACE provides useful information for someone who knows next to nothing about affiliate marketing, the program is very basic and will not teach you everything you need to make that advertised six figure income. I’ve provided a few examples below as to why I believe that these 10 video will not provide the newbie or even experienced affiliate marketer with enough practical knowledge to become successful. 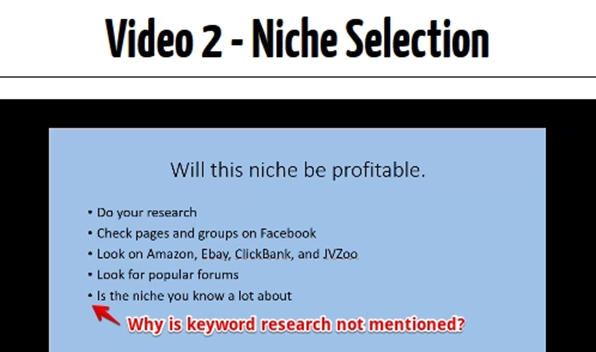 Andrea instructs you on how to select your ideal niche in this video. Several brainstorming ideas are provided so you can get started with selecting your desired niche. Andrea also recommends that you “do your research,” whatever that means. However, one very important consideration is neglected here, and that is keyword research. 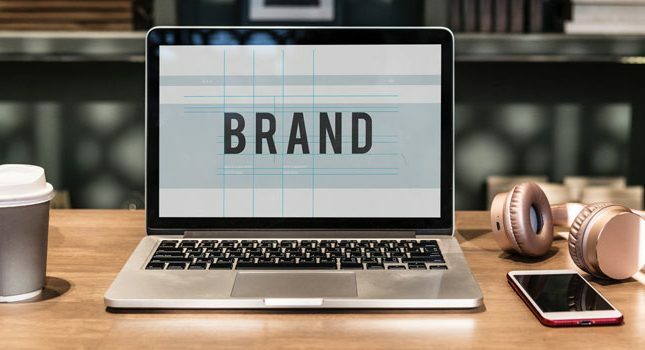 Without keyword research, you may select a niche that is oversaturated with marketers and will hardly ever be a “niche.” Alternately, you could end up selecting a good niche but building your content around entirely useless keywords. 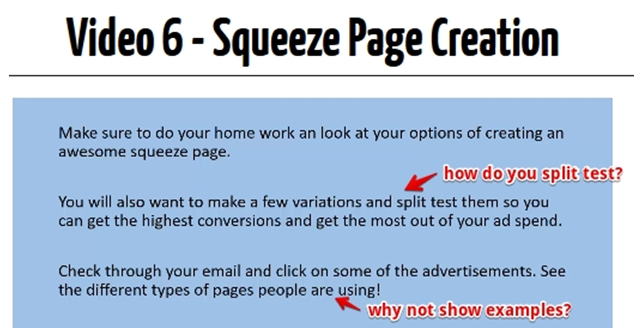 The absolute importance of creating a good squeeze page cannot be overemphasized. However, in her squeeze page video, Andrea merely glosses over specifics like messaging, layout and testing. While she mentions split testing, she says nothing about how to do it or set it up. She asks you to look up squeeze page examples- but what if you don’t even know what a squeeze page looks like? In contrast, even this blog post provides a squeeze page layout and examples. I assumed that maybe I would get actual real world examples of good affiliate offers I could sign up for and earn some healthy commissions from. Alas, all I found in this video was yet more generalized info that I could easily locate online through a (free!) search of YouTube. In contrast, a quick search of YouTube turned up plenty of valuable and free tutorials on finding profitable affiliate products on Clickbank. With this kind of free information available, why should we pay for such general info? What about ACE’s bonus material? The weakness with this bonus is that there is no other information provided here, such as which keywords are creating this trend line, or how much actual interest (in terms of followers) really exists for these niches. Without such data, how do we really know that these are the “top 10” niches for 2016? ACE isn’t a scam but it needs a lot more work before Andrea can claim that it’ll help generate a six figure income for you. There is a lot of material missing with ACE, including step-by-step instructions on creating emails, squeeze pages, ads, etc. The provided material, meanwhile, is very basic and theoretical. Which begs the question, what are we really paying for here? In contrast, our top recommended program here lets you get started for free and provides you with tools, training, support, and a wonderful community. I wrote Andrea twice at the contact email she provided (support@affiliatecashempire.com) to obtain a refund. There was no answer from her for at least 7 business days, even though her site claims that she needed up to 5 business days to respond. After I filed a dispute through Paypal, however, I received my refund the next day.